Red 5 Studios? today announced the eSports Toolkit for its upcoming free-to-play online action shooter, Firefall. The eSports Toolkit brings competitive gaming to the next level with unique spectator modes and streamlined shoutcaster controls. Enthusiasts can easily access in-depth details of tournament play while dynamically following the action throughout the match ? ensuring they never miss a frag. More information on the eSports Toolkit is available through this short video clip. ?At Red 5 we feel that it?s crucially important to eSports and pro players that developers make their games fun to watch and easy to follow?, said Mark Kern, CEO of Red 5 Studios. ?This new eSports Toolkit provides an unprecedented set of tools that will help shoutcasters produce the best possible broadcasts of Firefall?s elite competitive gameplay, thus improving the spectator?s overall experience?. The eSports Toolkit from Red 5 Studios offers a new ?look? at competitive gaming with two feature-packed modes, Observer and Broadcast. In Observer Mode, anyone can choose to watch matches through an assortment of cameras at their disposal, including the Action Cam, a dynamic top-down camera that calculates where the action is and auto-zooms accordingly; static cameras that can be switched to on-the-fly for a number of easily accessible viewpoints; and selectable player cams that show gameplay focusing on any player. Broadcast mode includes a number of additional features specifically added for shoutcasters, including replay controls ? which allow users to skip forward and back 10 seconds, pause, slow motion and fast forward ? a Multi-Camera Preview for linecutting into a broadcast, and built in player stat tracking. Red 5 will feature the eSports Toolkit at this year?s Gamescom during its 10k Euros Firefall beta tournament hosted by the Electronic Sports League. 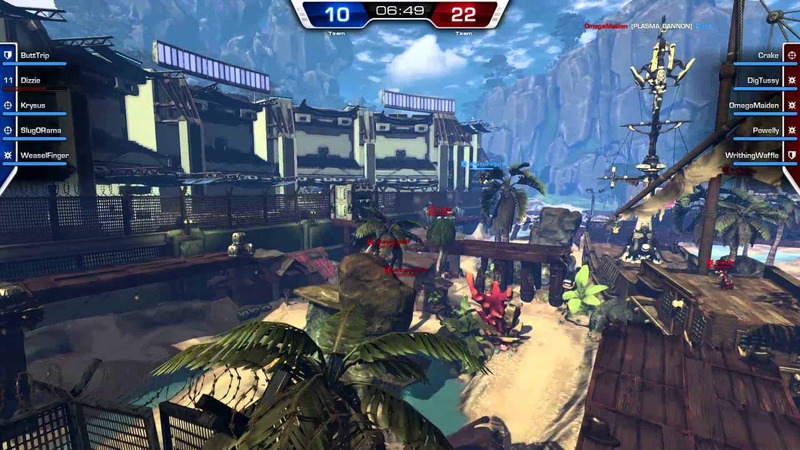 Players can find more information about the tournament and sign-up for the exclusive beta at http://www.firefallthegame.com, and receive a free invite by stopping by Firefall at Gamescom 2012.